Catalonia is famed for its food. Located on the Mediterranean coasts with strong influences from its neighbouring countries Italy and France, you’ll see that Catalan cuisine is Mediterranean food at its best. There’s an interesting balance of seafood (from its coastal location) and also meat from the mountains and fields inland. This explains Catalonia’s fascination with ‘Mar i Montanya’ (‘Sea and Mountain’ – a little like our own ‘Surf n Turf’). It’s not unusual to see meat and fish on the same plate in a Catalan dish. Did you know that if you put butter on your toasted bread, Catalans may look at you strangely because they tend to rub tomato, olive oil, garlic and salt on their toast, it’s called ‘pa amb tomaquet’ and is one of the most traditional Catalan dishes. 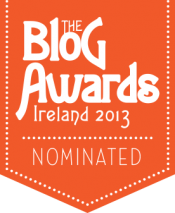 It’s absolutely delicious but not something you might expect at the breakfast table. The reason why there are so many amazing rice dishes in Catalonia is because rice is actually grown in the South of the region. We discovered dishes like ‘Arros a la Cassola’ which is like a traditional paella. 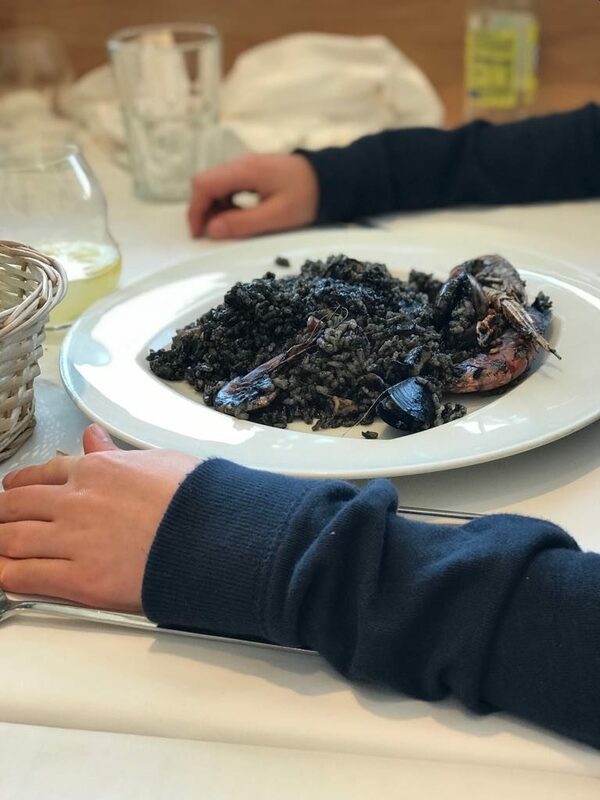 Another dish we fell for was ‘Arros Negre’ where rice is cooked in the cuttlefish ink, sounds a little icky but it’s surprisingly tasty and visually dramatic. Another regional speciality was ‘Fideua’ which will remind you of a paella however the dish uses vermicelli noodles instead of rice. When enjoying this particular dish, make sure you try the side order of ‘allioli’ (garlic and oil) that will be brought with it. Mixing a little into your ‘Fideua’ takes the dish to a whole new level. When it comes to dessert, Catalonia brings its own unique twist to traditional Spanish dishes. ‘Crema Catalana’ is a based on the popular crème brûlée, but we tasted a ‘mel i mató’ version which is honey and cream cheese, not a likely combo but it does really work. 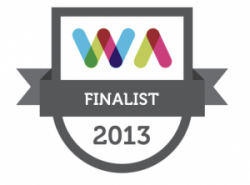 We wanted to share with you the memorable places where we enjoyed Catalan food at its best. 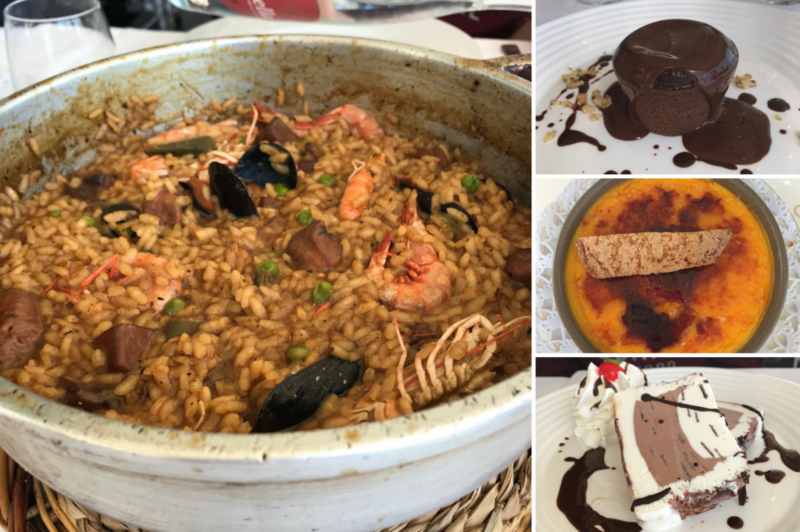 After a fun-filled morning nordic walking in the popular seaside resort of Lloret de Mar, we headed along to Resturant El Romaní in the centre of the town for our first authentic tapas experience. With fifteen varieties of tapas/pinxos to choose from, we trusted head chef Jean-Paul to prepare a selection of tapas dishes that he recommended for us. Each individual tapas was delicious. As the kids said, you could taste the love in each dish. If you’re visiting Lloret de Mar, you must visit El Romaní. Having walked along the Sant Feliu de Guíxols coast, we had worked up an appetite so we headed for the Van der Valk Hotel Barcarola which is located just 30 meters off the beach of Sant Pol in the beautiful town of s’Agaró. 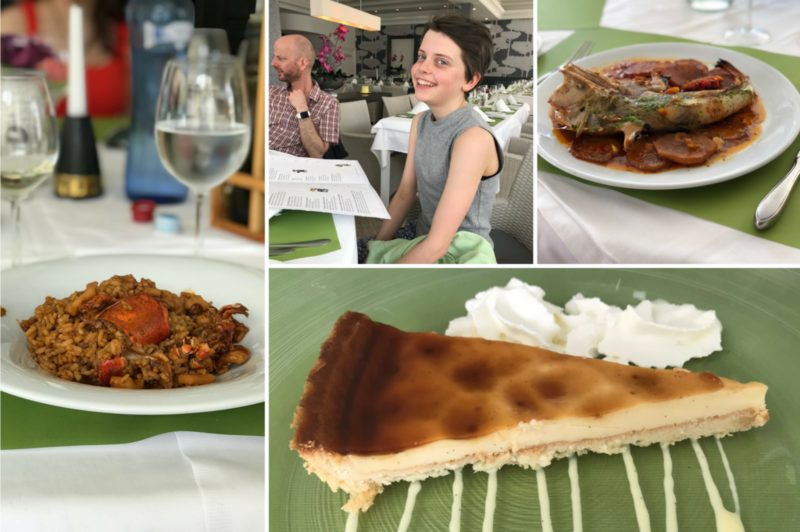 We’re not normally fans of taking the kids to hotels for lunch as it can often feel too formal however ‘Las Dunas’ restaurant in Van der Valk Hotel Barcarola was a breath of fresh air, literally. The modern air-conditioned restaurant was relaxed and the children were welcomed. The restaurant prides itself on being nearly 100% self-sufficient, with all fish, meat, vegetables, cheese and herbs coming from the local l’Empordà region. We loved getting the opportunity to try dishes like Amanida de formatge de cabra gratinat amb mel i fruits secs (Goats cheese salad with honey and nuts), Sepia a la planxa amb all i julivert (grilled cuttlefish with garlic and parsley) and Pastis de crema catalan (Crema Catalan cake). It’s not everyday that you get the opportunity to enjoy the very best of Catalonian cuisine by the sea. Restaurant Simón located on the seafront in the picturesque town of Calonge gave us that opportunity. The food was fresh and delicious and the staff were great fun and were clearly passionate about food. Prices were very reasonable considering its location on the beach , only €16.95 for three high quality courses. After our lunch, we strolled along Paseo de Calonge taking in the sea air, excitedly chatting about the wonderful food we’d just enjoyed together. When we visited L’Estartit, we had lunch in the modern Restaurant Alba which was well located in the town square. There was seating outside overlooking the farmers’ market and busy shopping stalls. Did you know that some restaurants in Catalonia serve particular dishes on certain days of the week? Luckily for us, it was a Thursday so the dish of the day in Restaurant Alba was Arros a la Cassola. This delicious dish is made with locally grown rice and various seafood. 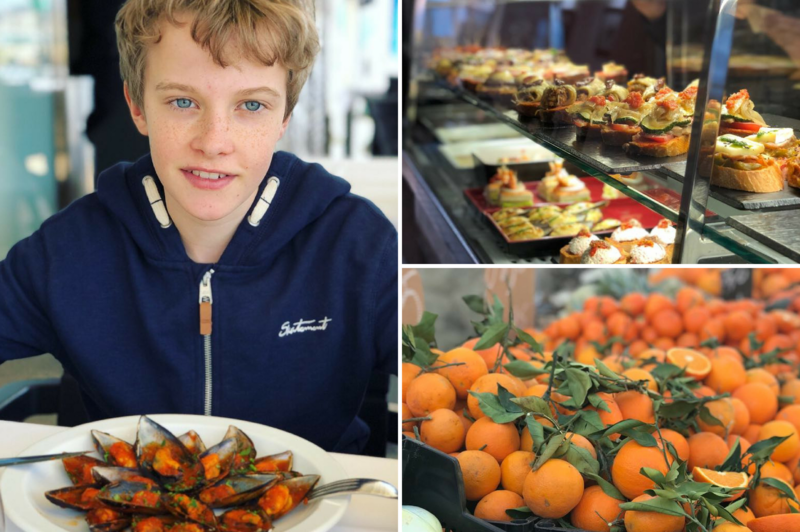 After experiencing the fun of watching a fish auction in Roses, we all fancied trying some of the local catch ourselves so it was recommended that we visit Restaurant Só de Mar at the fish harbour. We’re certainly glad we did as we had the opportunity to try black (squid ink) rice which was delicious. A huge thanks to the lovely owner Meritxell and her husband who looked after us so well. When you leave the Costa Brava coastline and head inland, the food changes. There’s less fish (naturally) and more meat so we were really looking forward to tasting the food of this picturesque region. 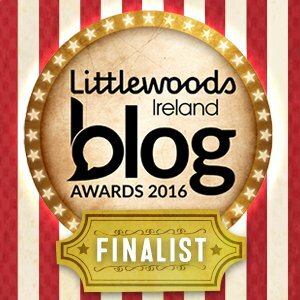 It’s not every day a restaurant designs an eight course tasting menu just for you! 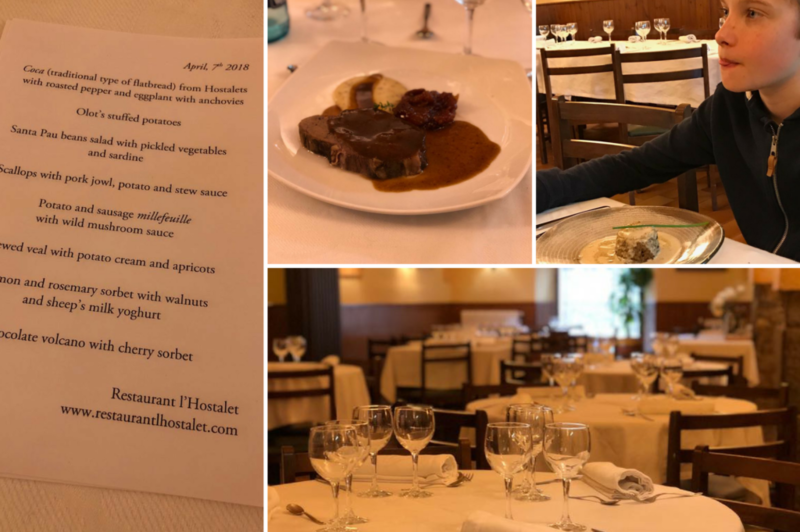 This is what happened when we visited the family run L’Hostalet Restaurant in La Vall d’en Bas. It turned out to be one of the best meals we’d ever had. The potato and sausage millefeuille and stewed veal dishes were incredible. In fact someone asked the kids last weekend what their favourite meal was of all time and they all answered in unison, L’Hostalet Restaurant in Costa Brava. When David (the chef) came and spoke with us about the menu, his passion for local food was infectious. By the time we left the restaurant it was full (so were we!) of families and I can see why it’s so popular that people travel far and wide to visit. If you’re looking for ideas on family friendly things to do with the kids while you’re in Costa Brava, check out popular blog post ‘Top 13 things to do in Costa Brava’. Why not book your own family food adventure and bring the kids to Costa Brava. 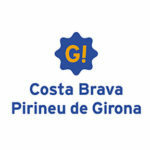 Head to Costa Brava Girona Tourism website to find out more. 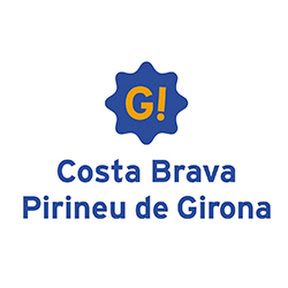 Disclaimer – We were guests of Costa Brava Girona Tourism for the duration of our visit. 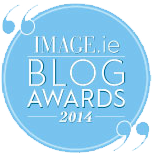 Our photos and opinions are honest and 100% our own.